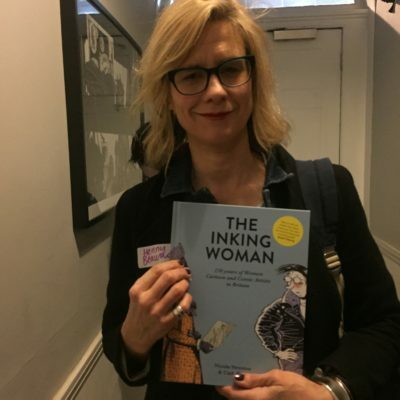 The Inking Women is a fascinating history of British female cartoon and comic artists, from the 18th century to the present day. Stoke Newington local Henny Beaumont (pictured), author of Hole in the Heart, and contributor to the recent publication The Inking Woman, is joined by co-editors Cath Tate and fellow graphic novelist Nicola Streeten (author of Billy Me & You) to discuss the importance of women’s cartoons in documenting our social and political history. A must for cartoon and graphic novel fans. Part of Stoke Newington Literary Festival. For more information and tickets, see here.